A new breakfast and brunch spot has made its debut in the neighborhood. Located at 834 Divisadero St. in Alamo Square, the new addition is called Theorita. The restaurant comes courtesy of Che Fico owner and James Beard Award-winning pastry chef Angela Pinkerton. Currently, Theorita offers breakfast and lunch items like burritos filled with scrambled eggs, potatoes and pinto beans; Cobb salads tossed with organic watercress, ham, house-made ranch and bacon; and fried chicken sandwiches topped with house-made bread and butter pickles. Theorita will also start offering dinner at the end of the month. The fresh addition has garnered rave reviews thus far, with a five-star rating out of five reviews on Yelp. 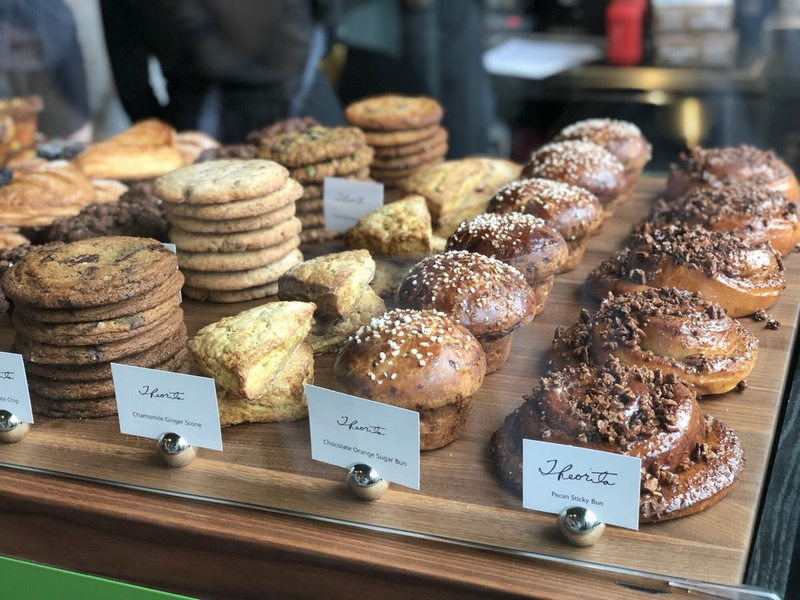 Jake B., who was among the first Yelpers to review the new spot on August 19, wrote, "Really enjoyed the breakfast here, had the breakfast sandwich and hot chocolate, both were excellent. Look forward to coming back and trying the pastries." Yelper Joh B. added, "Destroyed a breakfast sandwich and a side of hash browns, which sadly, left me no room for any of the amazing looking pastries. I have had the sticky bun and the nectarine cream danish, both amazing. Looking forward to returning often."